The days of popular photography apps remaining exclusive to iOS users are coming to a close. 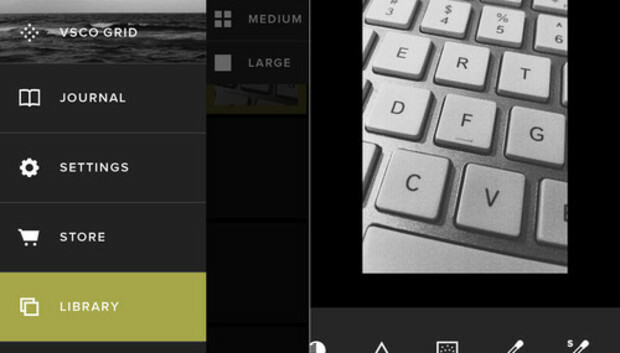 VSCO Cam, one of the more popular photo-editing applications for the iPhone, has finally made its way over to Android. VSCO Cam arrived almost instantly after Visual Supply Co., the team behind the app, posted that the Android version would arrive Tuesday. The free application features the standard arsenal of photo-editing tools, but it's mostly known for its vintage filters. You can choose the strength of each individual filter and then tweak it further even after you've applied the filter. When you're ready, compare both the original and edited photo before you accept the changes and then share it across different social networks all at once, including Google+, Instagram, Facebook, Twitter, and even VSCO's own VSCO Grid photo-sharing network. If you're in the market for more filters, VSCO also offers an array of downloadable expansion packs available in the Google Play store. The app is available for Android users running Ice Cream Sandwich and up. The Verge notes that there are a few things missing from the Android version, like spot metering, which is only supported by certain Android manufacturers; otherwise, everything else is virtually identical to the iOS app.